We have a specialised Marine Division website where you can learn more about our marine flooring and deck covering products and services. We also have a range of case studies on topics including seamless flooring, safety flooring and shower tray repair. We feel that our application and management teams at Euro Resin Solutions are unique in the industrial flooring market due to our hands on approach and only using leading edge technologies. We have always worked with leading manufactures of self-leveling products and special underlayments and coatings with in our land based projects but have started to grow our Marine division working closely with our local customers. We have brought together over 29 years of experience and skills and our recent projects have included; P & O Cruise lines, RFA MOD ships, Carnival Cruise ships, Fred Olson Cruise lines, where we have completed numerous refits and new installations. We pride ourselves on customer referrals and recommendations and work to all Marine legislation and on board requirements. UV Cured GRP lay up syetems. Riding Squads available to complete works whilst the ship is at sea. Among the changes in the navy specifications the SynDeck technology represents massively improved water and chemical resistance, better flexibility, and obviously much less weight per square meter. Our materials are designed to be low odor and are packaged to be easy to handle and apply. Currently the main successes for SynDeck are with in the work boat, small ferries, cruise ships and mega yachts with offshore and support ships testing the product and becoming approved. 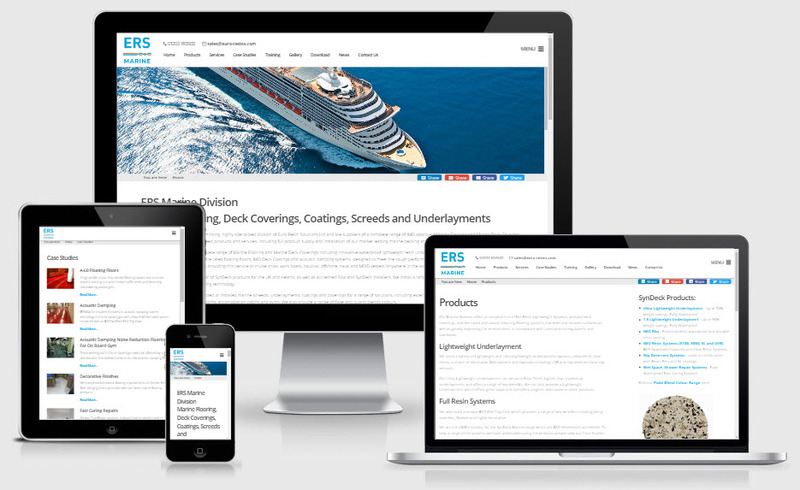 ERS Marine offer a complete range of marine flooring and marine deck coverings to the marine industry. We use the latest technology to provide long term solutions and range of key benefits.